I have an artist friend who does amazing sketches and watercolors. She hates clutter and I am the happy recipient of her cast offs. She brought a new batch of goodies yesterday. 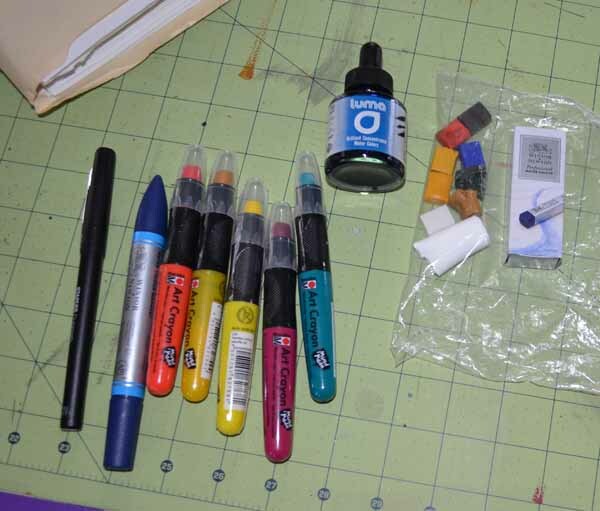 Above are from left to right: a permanent ink pen, a Windsor Newton watercolot marker, five "Marabu" watersoluble crayons, a bottle of permanent document ink for a fountain pen, some loose half pans of Windsor Newton watercolors and a stick of Windsor Newton watersoluble crayon. This is the Windsor Newton solid watercolor stick. The color is very timid. 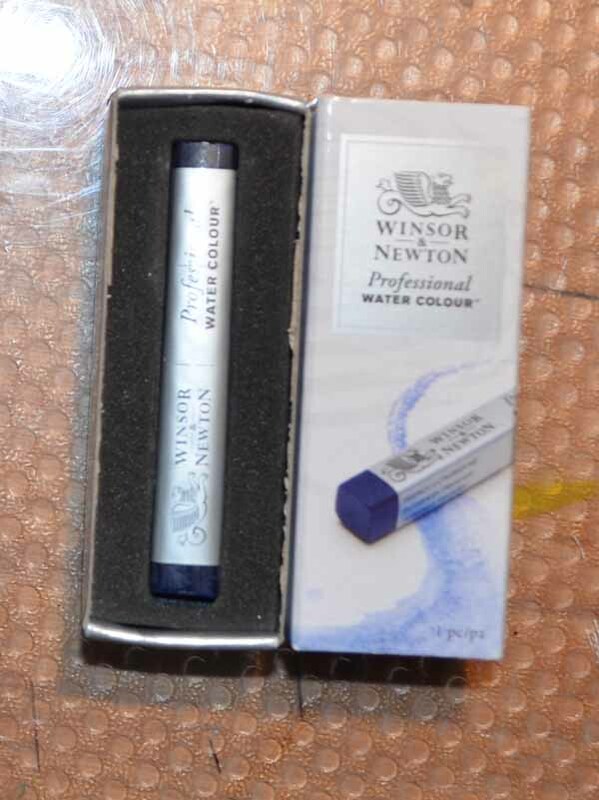 This is the Windsor Newton watercolor marker. The color is very timid as well. I actually can't think of a reason I would use this but it was fun to play. My results are below. 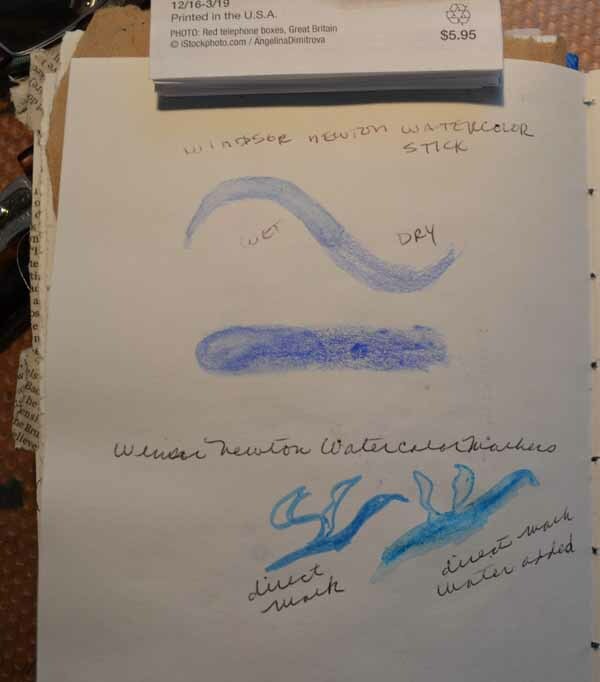 These are Marabu watersoluable crayons from Germany: thick, lush color, smooth application, lovely wetting. The upper two images are the Windsor Newton solid block color and the two below are the W.N. watercolor marker. Both very timid pale and not useful. 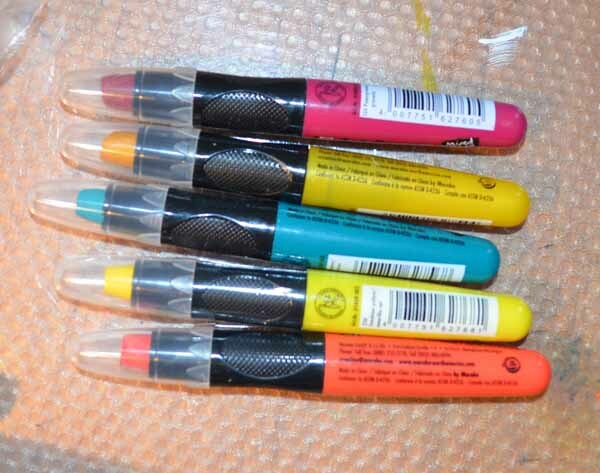 These are the Marabu watersoluble crayons and they are very nice. The metallic gold crayon stayed metallic even when thinned with water. 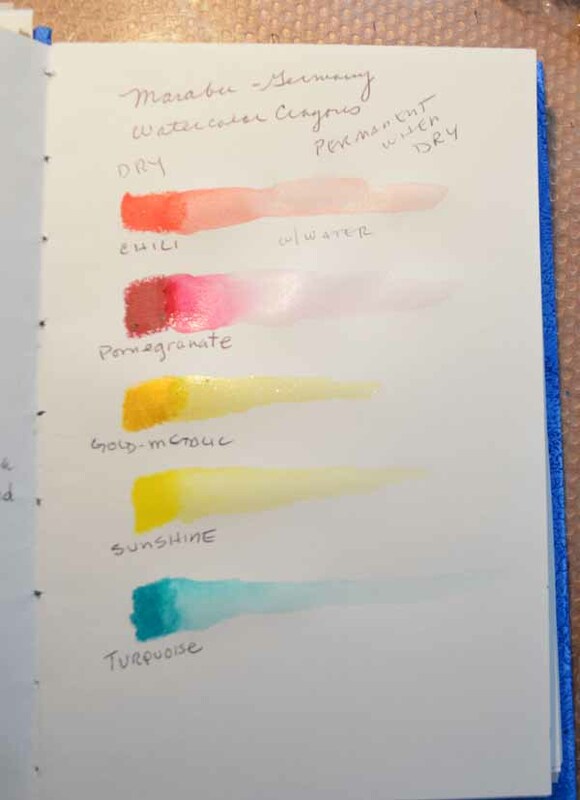 I haven't tried the document ink yet but it looks lovely. Soon!!!! The invitation has gone out!! !